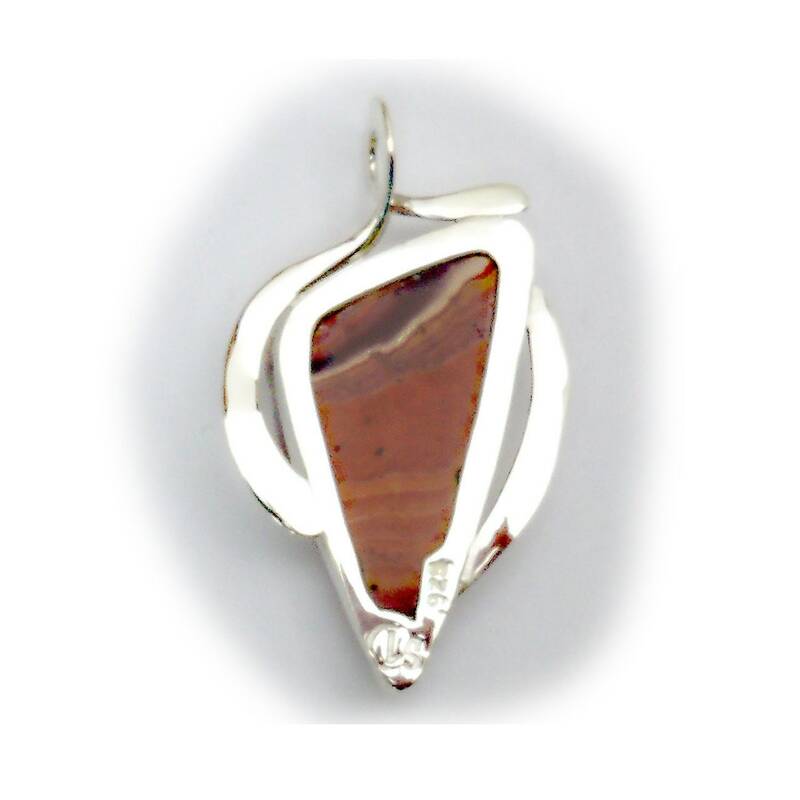 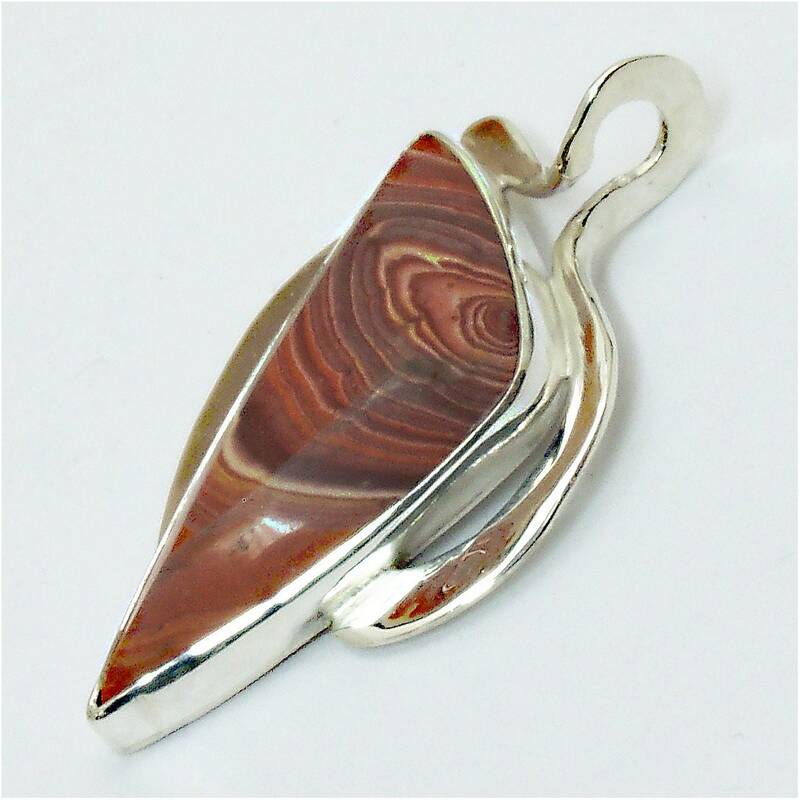 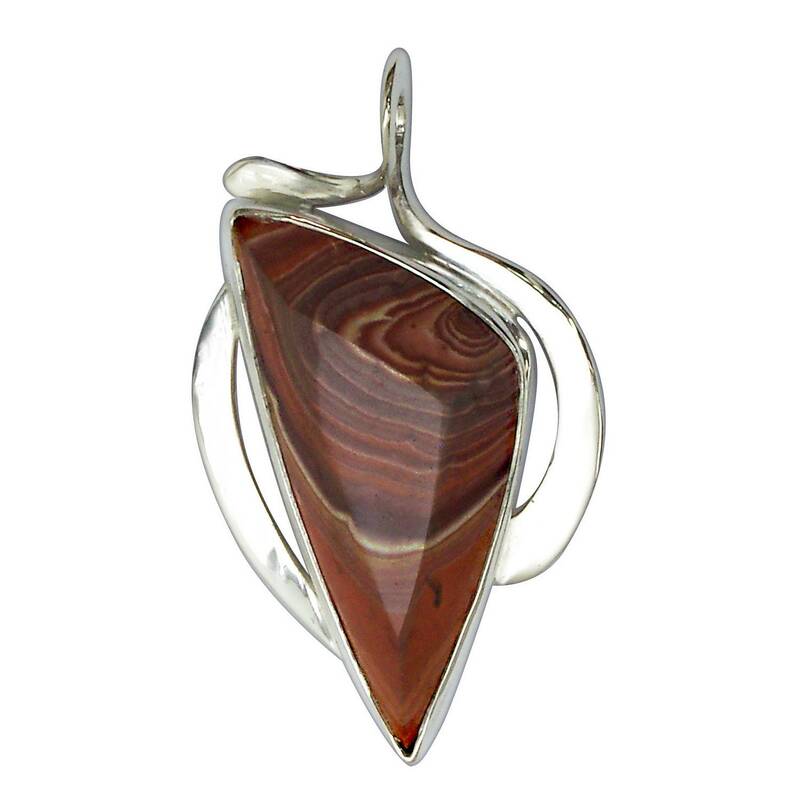 Mexican Rhyolite and Sterling Silver Pendant, 47 x 27.2mm. 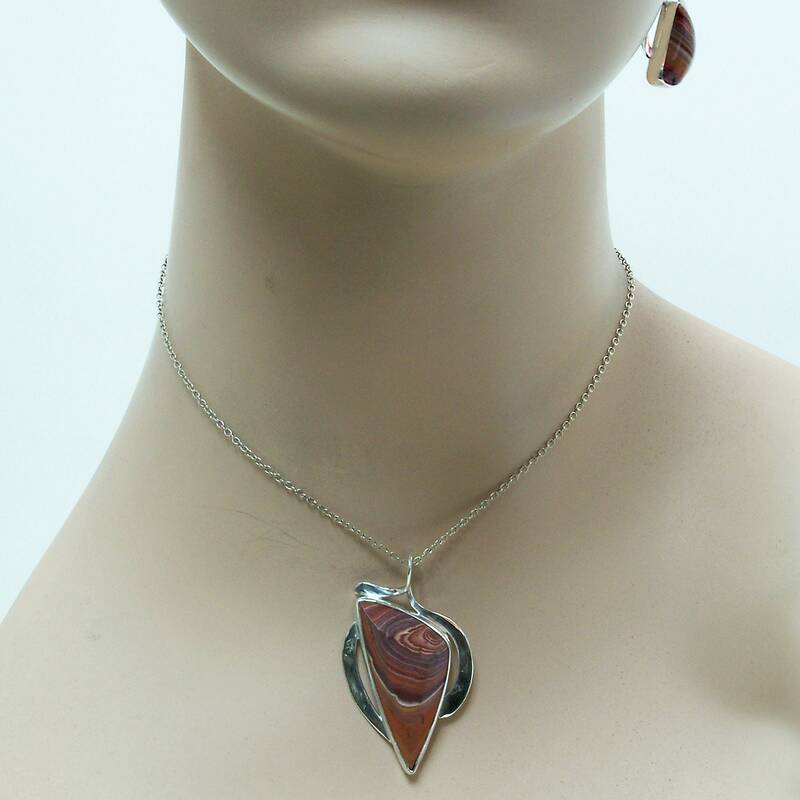 This a one of a kind (ooak) art piece, jewelry that makes a fashion statement. 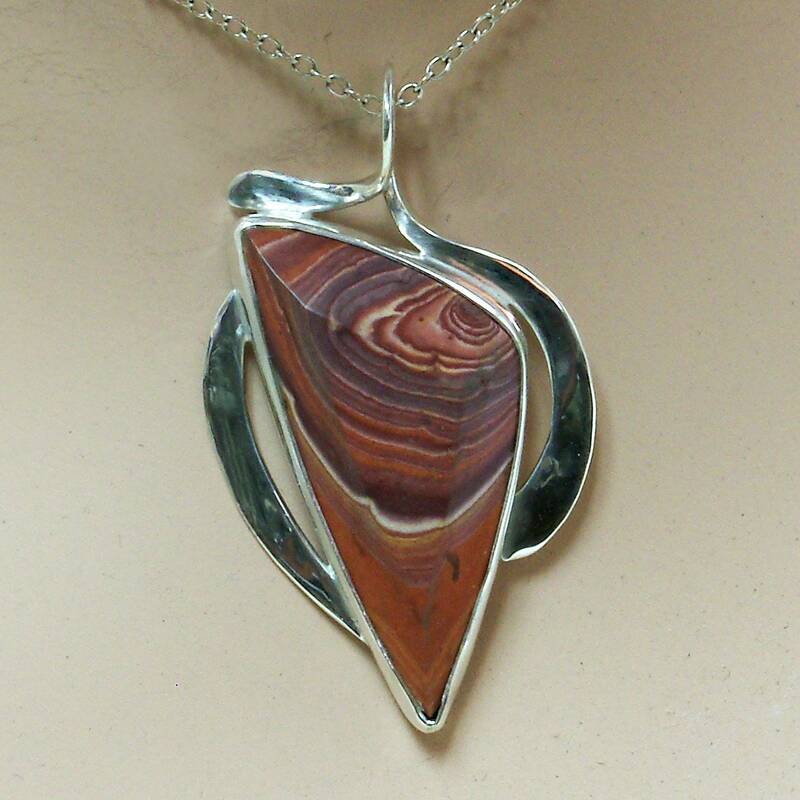 I personally hand cut the rhyolite cabochon, then hand forged the metalwork to take advantage of the beauty of the stone.